Returning from a day trip to Bruges I was waiting for my connection back to Waterloo. 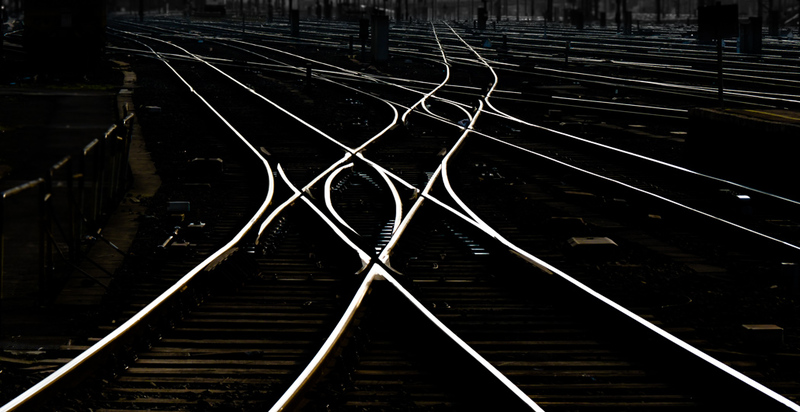 I was fascinated with the patterns of the railroad tracks and how the lines merge and diverge. It reminded me of how many possibilities we have during our lives to choose different paths. What a wonderful surprise, love the silvery tones~! I really like this shot for its simple and high-contrast lines of the railway. The composition is perfect with the lines that start from the bottom angles. I think it's been done a great job with an original idea! For me it's a nice photo.